Competition in the job market is an unavoidable reality that all those seeking employment must face. According to ERE.net, an online gathering place for recruiters, a company will receive approximately 250 resumes for each job opening posted. With so many resumes to sift through, hiring managers can only spend so much time per job seeker. Indeed, a recent study by TheLadders, an online job-matching service, showed career recruiters only spend six seconds reviewing an individual resume. After spending roughly six seconds on each of the 250 resumes, only four to six candidates will be contacted for an interview, while only one of those people will get the job. More than ever, you need to ensure your resume sticks out from the competition and employers see that you're the most qualified candidate for the position. By incorporating some minor details and leaving out unnecessary language, you can make your resume sparkle. Even though your first instinct for making your resume stand out might be to add colors or fancy fonts, you should keep this to a minimum. An uncommon typeface can be difficult to read, while an overabundance of colors can be distracting. However, simple placement or conservative usage of color and specialized fonts, such as adding a thin navy border or selectively utilizing a readable font, can make a big difference. It should be noted that those seeking jobs in a creative field such as graphic design have much more leniency in terms of these conditions. Adding qualities such as hard-working, efficient and responsible are too nebulous to adequately define what sets you apart from the rest of the job seekers. Include industry-specific terminology and keywords to show employers that you understand and are fluent in the field's specialized language. Instead of drafting your resume and then looking for jobs, first look for the position you want and then craft your resume to reflect what the responsibilities and roles in the posting. 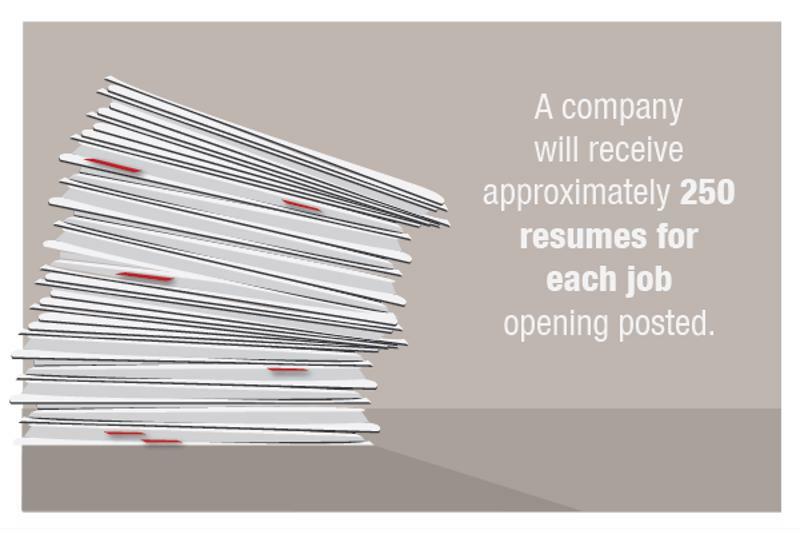 Many job seekers tend to stuff their resume full of their responsibilities and day-to-day tasks. Listing out your former work description fails to accurately portray how you managed to go above and beyond expectations. Employers look for resumes that delineate quantifiable achievement metrics such as how much you reduced expenditures at your former company or by how much you improved sale percentages. This is perhaps one of the most important aspects since employers tend to believe that past success will translate into future results. Looking for a job means you're selling yourself. Like any product sold, you need to brand yourself and do it consistently. Don't shift between different spellings of your name. Include your LinkedIn profile, but ensure your profile isn't just a rehash of your resume. Make the profile different, but again, be consistent across platforms.